Bianca Lawson is an American actress. She is the daughter of actors Richard Lawson (born Rickey Lee Lawson) and Denise Gordy. Her half-brother, Marvin Gaye III, is the son of singer Marvin Gaye. Her parents both have black ancestry. 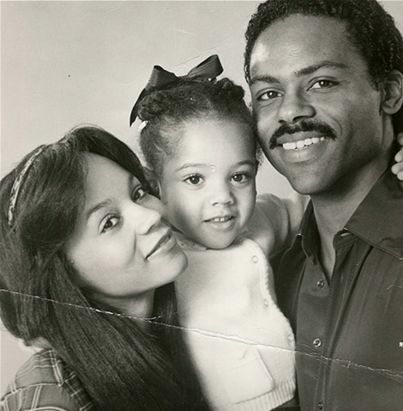 Bianca has said that her ancestry is “Black, Italian, Blackfoot, Portuguese, Creole.” A picture of Bianca with her parents can be seen here. Bianca’s paternal grandmother’s surname was Broussard. Bianca’s maternal grandfather was George Weldon Gordy (the son of Berry Gordy and Bertha Fuller). George was born in Michigan. George was a writer and businessperson. Berry was the son of Berry Gordy and Lucy Hellum. Bianca’s great-uncle, the brother of her maternal grandfather, is businessperson Berry Gordy. Berry is African-American, and also has a small amount of English ancestry. Bianca’s maternal grandmother is named Rosemary Hawkins. Bianca is a step-sister of singers Beyoncé and Solange Knowles. Her father is married to their mother, Tina. Bianca is a cousin of musicians Redfoo and SkyBlu (LMFAO), and Mahogany Lox. She is a first cousin, once removed, of Redfoo, and a second cousin of SkyBlu and Mahogany Lox. Bianca’s great-grandparents Berry Gordy and Bertha Fuller were also Redfoo’s grandparents, and SkyBlu’s and Mahogany’s great-grandparents. Bianca is also a half-second cousin, twice removed, of U.S. President Jimmy Carter. Bianca is the great-great-great-granddaughter of President Carter’s (white) great-grandfather, James Thomas Gordy, from his relationship with a black woman, Esther Johnson (President Carter is descended from James’s white wife, Harriet Emily Helms). She is the daughter of Denise Gordy and Richard Lawson, both actors. I Knew She Was Mixed. She really takes after her mum. wow she doesn’t age at all. She looks like she’s barely in her early twenties.